Appliances in drawers? Welcome to 21st century kitchen design. As the 2016 Kitchen Design Forecast, issued by Sub-Zero and Wolf can attest, today's kitchen designers prioritize function over form. First, the modern family typically has two working adults, and might also contain two, three or even four generations under the same roof. Also, over the past several decades, kitchens have transformed from utilitarian spaces to social hubs, which adds another level of functional demand to the kitchen design puzzle. Appliance drawers can seem superfluous to some, but they can be lifesavers for others - making the kitchen more adaptable to its occupants and activities. Here are some of the ways you can use appliance drawers to your advantage. 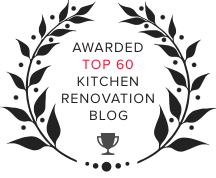 Make your kitchen more kid-friendly. Kids love to cook and help out in the kitchen. The processes required to cook and bake teach kids many valuable life skills, from budgeting and mathematics, to understanding the importance of nutrition. Also, cooking fosters independence and can get them away from their phones and computer games, spending valuable family time. The problem is that many of the standard appliance locations are inaccessible to children - and this diminishes their ability to be independent. From microwave and refrigerator drawers to dishwasher options, the addition of an appliance drawer or two can transform your child's kitchen-friendly attitude. Cooking together will be easier, but so will their ability to get an after-school snack for themselves and younger siblings, and that dishwasher drawer makes it easier for them to clean up afterwards! Create a more flexible work triangle. 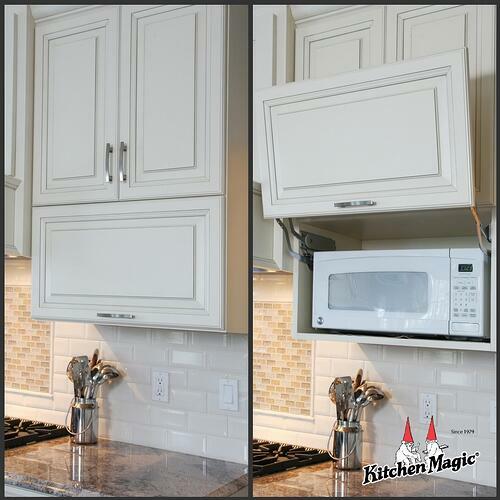 The traditional work triangle was coined to increase kitchen efficiency. It ensured the stove top, fridge and sink were in close proximity to the chef. However, depending on what or how you cook, or your preferred kitchen layout, the contemporary triangle looks a little different. Refrigerator and microwave drawers offer a way to modify the triangle, keeping the foods you prep, or the ability to heat something, closer to your meal prep zones. This might allow the larger fridge unit to be further along the perimeter, out of the way of the main kitchen action. Make it easy to entertain. 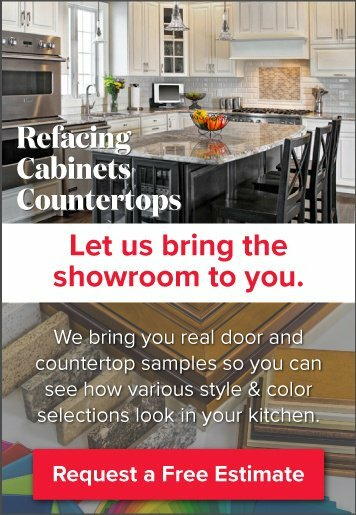 If you love to entertain, appliance drawers can certainly help out, providing extra work stations for you and/or your catering crew. For homeowners who cook or entertain on a regular basis, we do recommend investing in a warming drawer - which is useful for food as well as for plates, ensuring scrumptious dishes are always served hot once everything comes together. Increase accessibility. Are you thinking about aging-in-place? Do you foresee a time when your parents or an in-law may need to stay with you for a while? 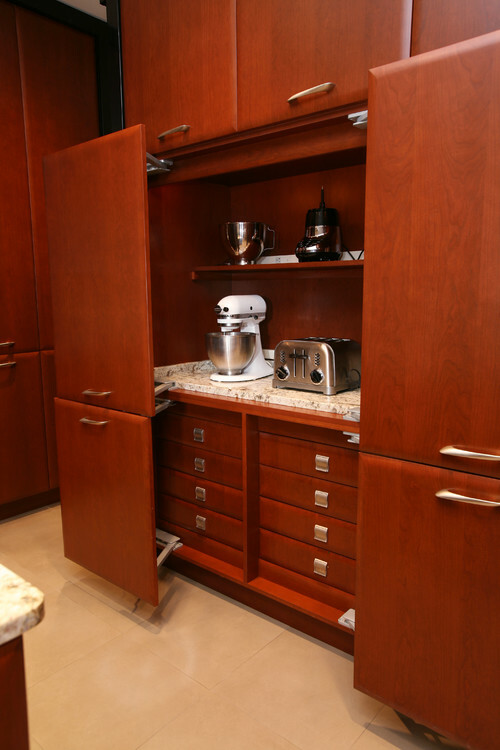 If so, appliance drawers will increase the accessibility of your kitchen. They allow those using mobility aids or a wheelchair easier access to both refrigeration and cooking (via a microwave drawer). Accessible or livable kitchens are safer kitchens, minimizing the chances of falls or knocks that can have traumatic outcomes. Design a more integrated look. If you are interested in a more integrated kitchen design, one where appliances blend seamlessly with cabinetry, appliance drawers are a bonus. Because they are smaller and more streamlined, and designed by default to integrate with cabinetry, they make it easy to customize to the look you want. 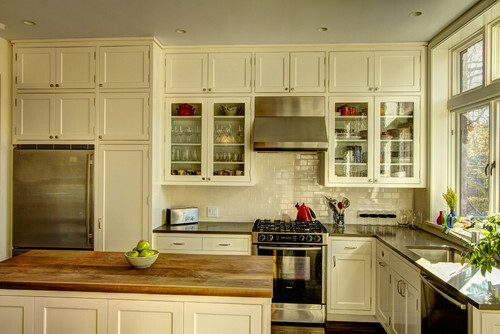 Work with a professional kitchen design and build team before deciding on appliance drawers. They can add quite a bit to your budget, so you don't want to install anything you won't use regularly in the future - no matter how clever it may seem.